When Steve Jobs have held his special press conference on Friday, the objective was to mitigate the damaging PR that’s resulted from the iPhone 4 antenna mess. One of the ways Jobs did this was to first talk about how Apple is focused first and foremost on customer satisfaction. Next, Steve Jobs went into a long dialogue over how the iPhone 4 antenna issues are not really any different than what other mobile devices experience. 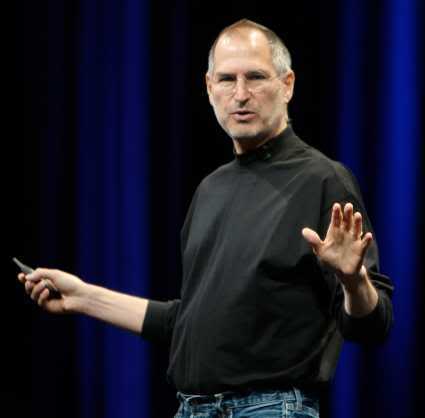 Blackberry, Nokia, and HTC were some of the mobile devices that were targeted in Steve Jobs presentation and comparison to the iPhone 4 antenna problems. Well, as can be expected, these mobile companies did not appreciate Steve Jobs making mention of their devices – especially comparing the iPhone 4 antenna issues with their own technology. So Lin was talking specifically about the Droid Eris here, but still .016% is a very small number, especially when compared to the 2% of the 3 million iPhone 4 customers. The iPhone is entrenched, and will continue to be the standard for quite some time regardless of Apples dipstick choice of service provider or rediculous rush to market to meet the 4G demand knowing the unit was faulty. But let's face it, Apple is the new Microsoft of the mobile device world. But we're stuck with them not, even AT&T has jumped ship. So buy the phone that suits you, iPhone, Droid, or whatever. But don't just buy anything because it's shiny and made by Apple and then wonder why it didn't suit you. Brand loyalty should always still come with skeptism. It wasn't like word wasn't out on the street about the iPhone 4.